Mrs. Toad Sews: Don't You Hate When You Think You're Almost Finished? Don't You Hate When You Think You're Almost Finished? 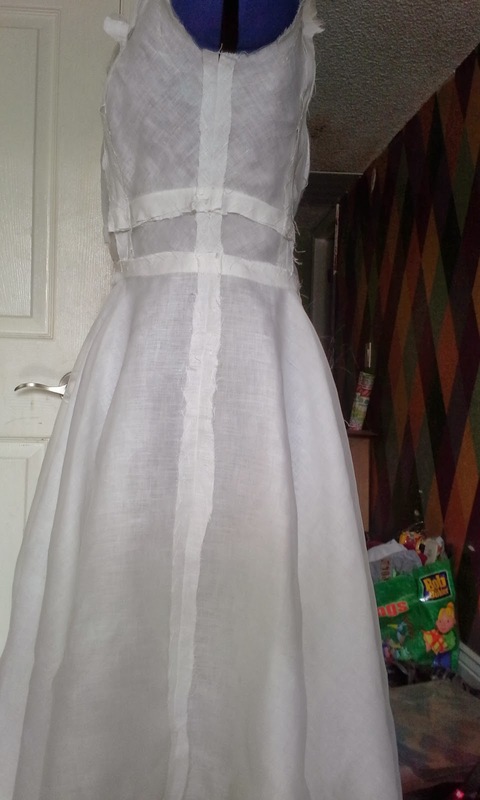 Well, I thought I would be done with my white linen dress, Vogue 8648, today. Because I am using couture techniques as taught by Susan Khalje in her Craftsy class, The Couture Dress there is soooooo much hand stitching and awesome little hidden details, it is taking me a little longer than I would thought. I thought I would be done and have photos and a review ready last night. Today was supposed to be my last self-imposed deadline. I really couldn't see why I wouldn't be done. I finally had the zipper in, the lining ready to put in and a hem. And then...I tried it on. It zipped up perfectly. This was my concern. It was a little difficult because I really am not Elastic Girl (remember the Incredibles?). But I managed. Then I turned and could not figure out why it was so ripply. Did I not get the seams smooth? They were smooth. Was it too tight? Too loose? No, it had just the right amount of ease. I played with the midriff band and the bodice. I pulled the midriff up and that was it! I need a HUGE, sway back adjustment. I guess I know where some of the weight I lost came from. I'm hoping this is the last adjustment I will need. I am thinking of ways to alter it if I lose more and need it taken in. I do know that if I am going to make this pattern again I will need to buy the next size down and start over. I will need to remember about the sway back adjustment. So, I'm off to remove a zipper, catch stitches, and the midriff/bodice back seam. Then, I'll do it all again. Maybe some movies while I do the hand work! 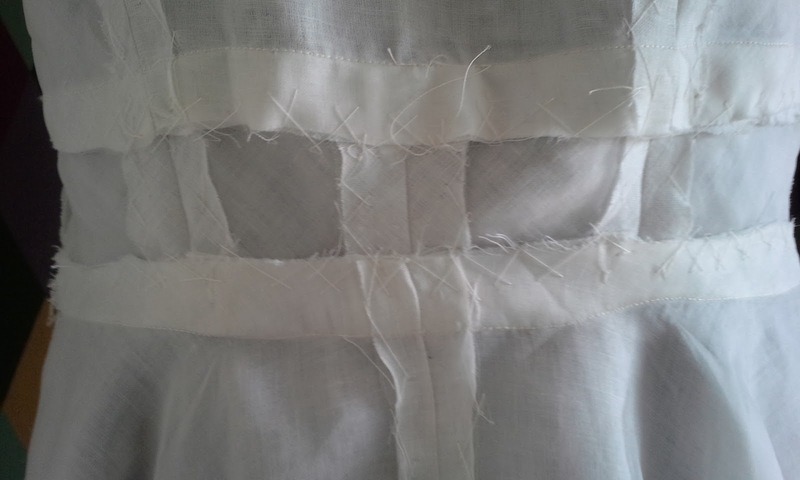 The only pictures are the side and the front inside showing the finished seams. Off to find my seam ripper! Oh dear, yes, I can see all the handstitching - deep breath, stay calm and at least you know what to do so I think you will easily make the deadline.